Farmers can sign up to parasite alerts at NADIS animal health skills. NADIS publishes a monthly Parasite Forecast for farmers and vets based on detailed Met office data and the forecast. The Parasite Forecast outlines the parasitic challenge facing cattle and sheep in the different regions of the UK. Following the meeting that took place with Yorkshire Farmers in January, participants discussed feedback from their abattoirs, those that were able to get feedback had been ok so far. Farmers received the AHDB Beef and Lamb information booklets that give guidance on likely causes of damage to liver and other organs. 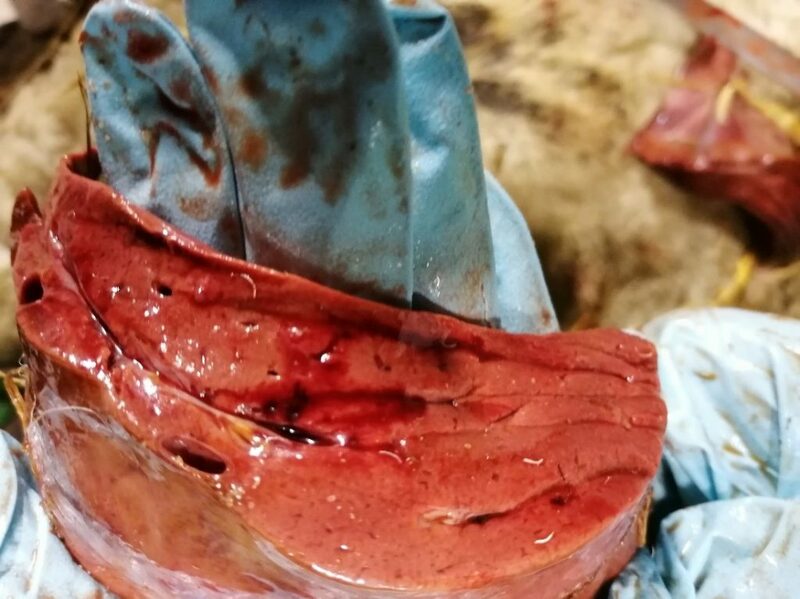 Three farmers in the group had done their own post-mortem on sheep that had died, to look for evidence of fluke in the liver and bile-ducts. 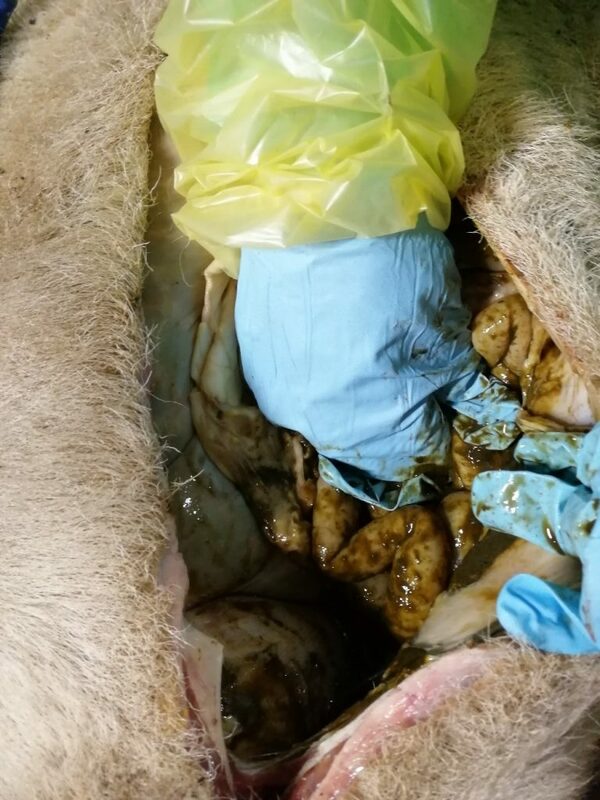 The Yorkshire farmers were very keen to learn more about this and arranged a workshop with Davinia Hinde, Bainbridge Vets, Leyburn, was arranged to show them how to do it, enabling them to monitor the presence of fluke if sheep died over lambing time. The video and photos below are available as resources taken from the post mortem evening. Above is a video of flukes emerging from the bile ducts. Image 1, Davinia opened up the dead ewe which was from a local farm, the group were shown where to make the incision and how to cut out the liver, the incision was made just below the rib cage on the right-hand side of the ewe – if you make a smaller incision it is easy to tie the wool up together so the rest of the insides don’t all come out which makes it is easier for the knacker man to collect. 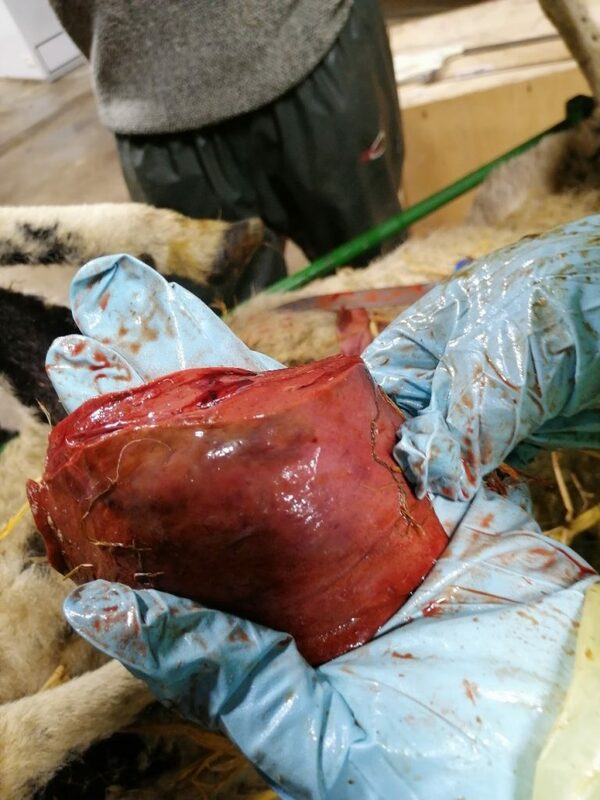 She brought out part of the liver to inspect for signs of liver fluke; the liver had begun to decompose from this ewe, however no signs of fluke were found, the bile ducts were clear and the liver looked fine. Image 2, For the second ewe that was opened up (which was also from another local farm) was also free from fluke and had no signs of scaring from previous infestations. 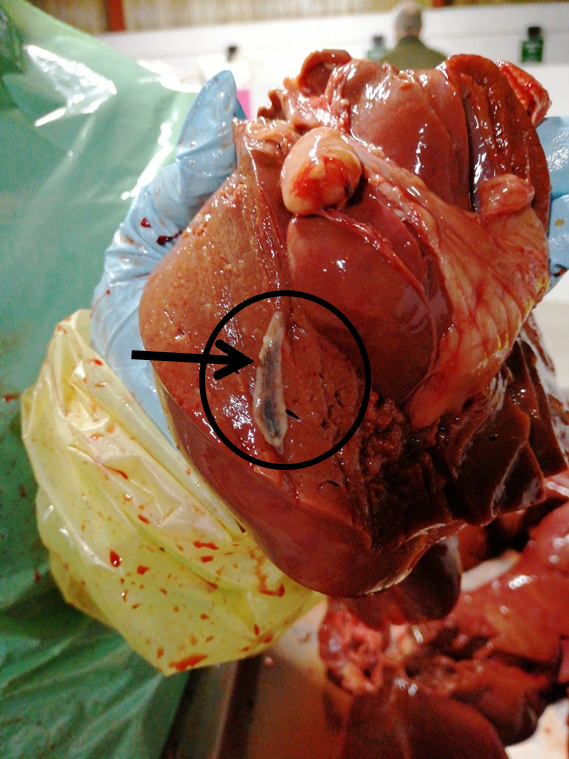 The bile ducts were clear as well, notice the red dark pink healthy look of this liver. 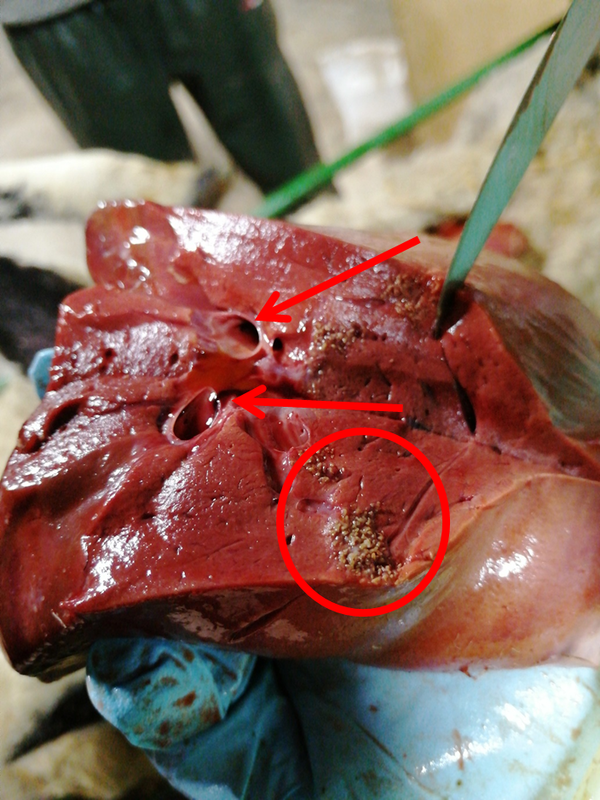 Image 4, There was some calcification (circled in red) in the liver of this ewe which is a sign of a diet in balance, but again no fluke or signs of previous liver fluke damage. Red arrows pointing to the bile ducts, where adult fluke live.